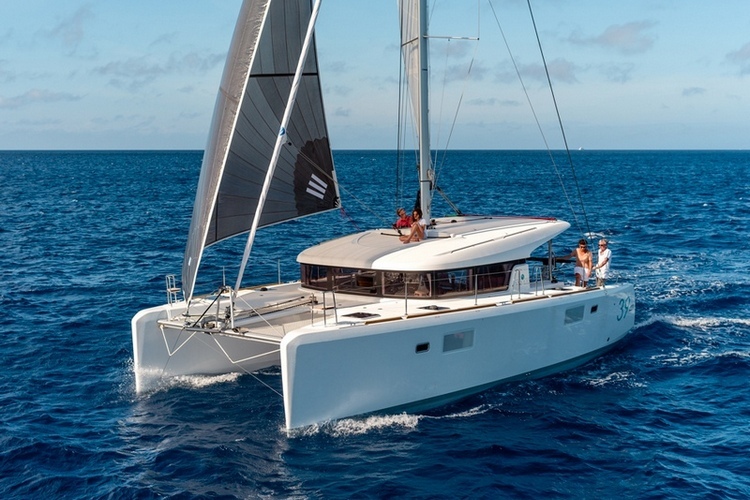 Lagoon 39…a catamaran for rent in Croatia. 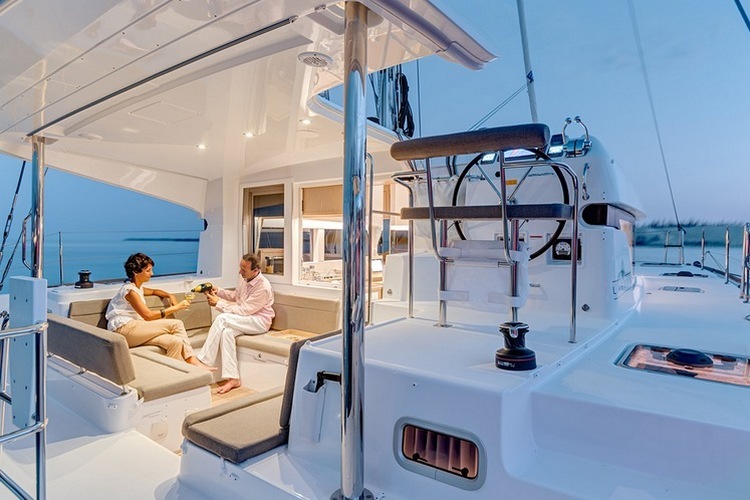 Get a Bareboat, skippered or crewed Lagoon 39 charter Croatia! This catamaran is available for rental with chartercroatia.net. 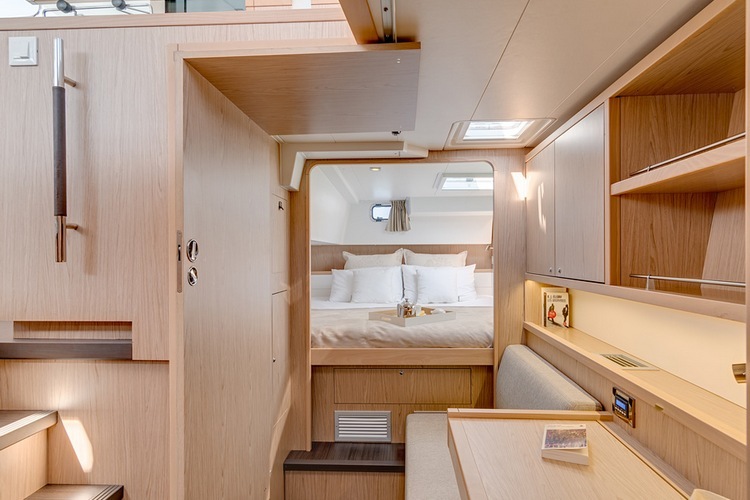 At first glance this is an amazing sailing yacht, made for perfection, and in that mannor perfect for sailing the Adriatic. It’s built for easy handling with aft centered mast, and a shorter boom length faster maneuvering and better response. 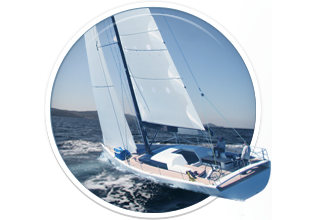 Its large forward triangle allows for bigger sails, and better performance. 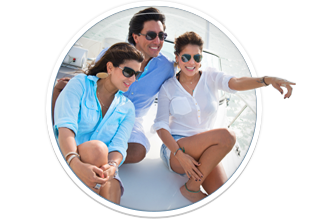 This sailing boat is a perfect blend of safety, performance, and absolute comfort. 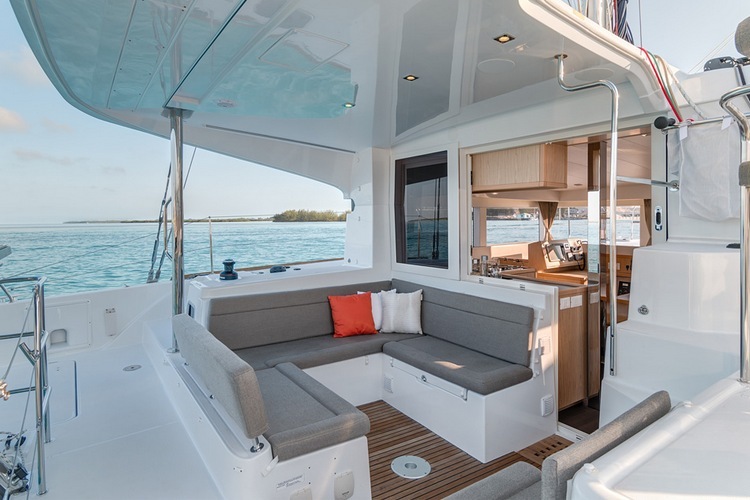 The cockpit area is spacious with seating area, large dining table and direct steering access. 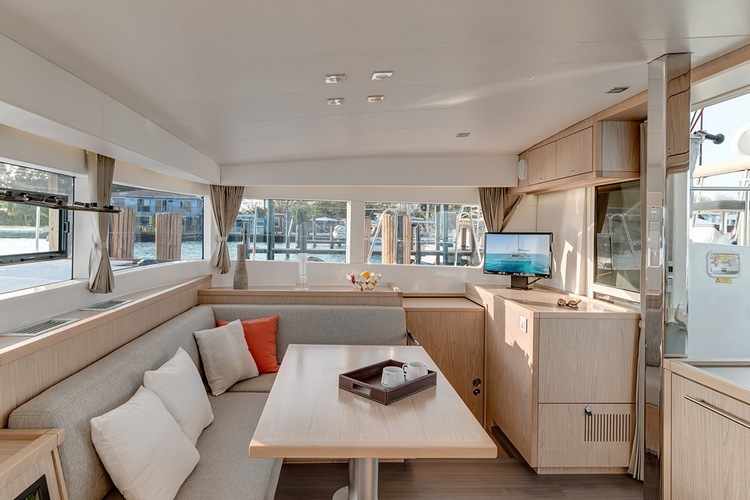 As in mostly all lagoon models, the deck area is spacious enough for free movement any time. 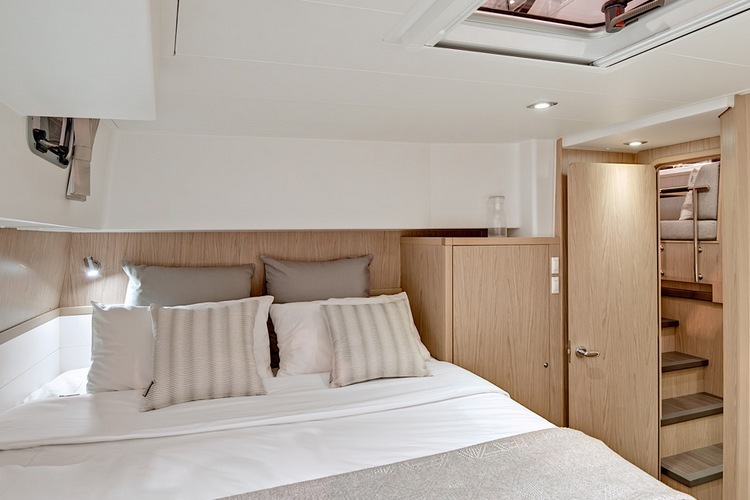 This is a general advantage of catamarans, more space everywhere! 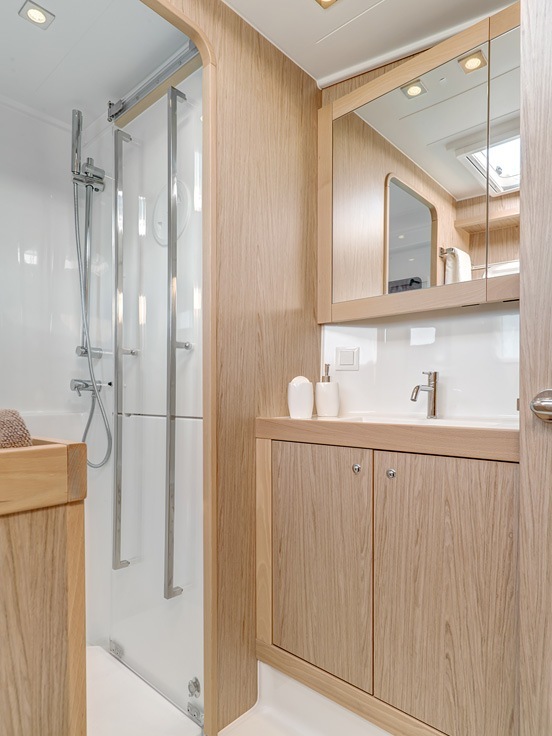 The interior is beautifully designed, using ecofriendly materials such as reconstituted wood! 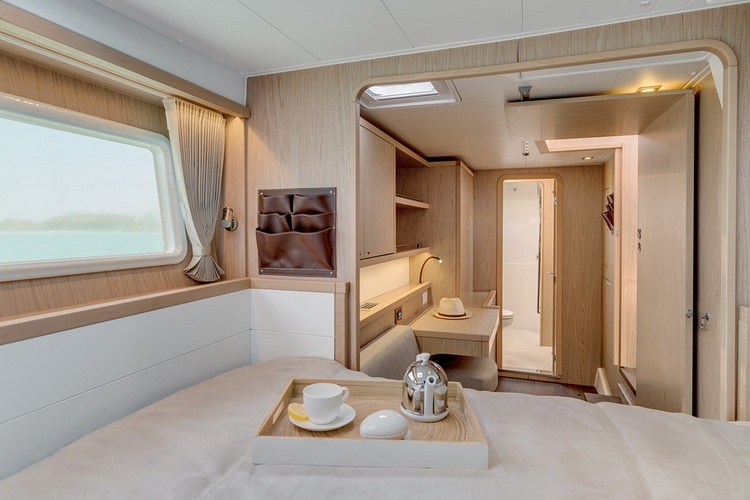 Cabins are spacious and well equipped, and also incredibly well lit. The improved lighting is achieved by the usage of many hatches and ports, as well as strategical placement of lights in the area. 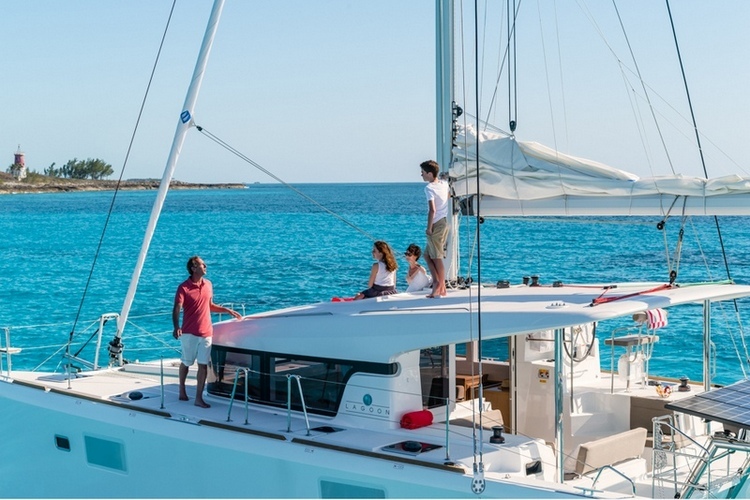 All in all this is a great boat for your catamaran charter in Croatia. Contact us anytime with inquires and requests at mail@chartercroatia.net for lagoon 39 charter Croatia! 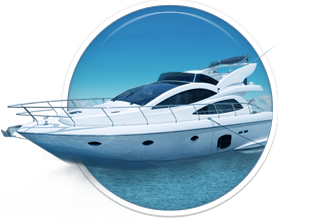 Here you can find basic information about Lagoon 39. 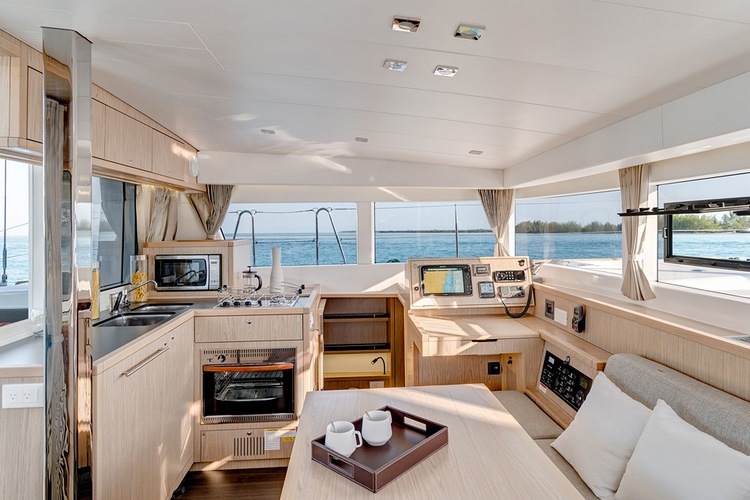 Other specifications, can vary from boat to boat, therefore we recommend to search for particular Lagoon 39 from our database, in the destinations of your preference.